French striker Nicolas Anelka has joined West Brom on a one-year deal. The 34-year-old, who has already played in the Premier League for five different teams, spent the latter half of last season at Juventus after leaving Chinese club Shanghai Shenhua. Since leaving Chelsea in 2012, he scored three in 22 games for Shanghai and none in three for Juventus. Anelka won Premier League titles with Arsenal and Chelsea and, in 2000, the Champions League with Real Madrid. He has scored more than 100 league goals in England and won the Golden Boot in 2008-09 while at Chelsea. "We are missing a bit of firepower from last year, and to kick off with the signing of Nicolas at the start of the summer is a great boost for everyone at the club," said manager Steve Clarke. "The more quality players you can bring to the club the better, and no-one can question Nicolas' quality." Anelka is the first signing of the summer for West Brom, who will have the option of extending his contract for another season. The Frenchman began his career at Paris St-Germain before moving to Arsenal in 1997, helping Arsene Wenger's side win a league and FA Cup Double in 1997-98. But after a protracted transfer saga, he joined Real Madrid in 1999 for a fee reported to be £23.5m. Despite enjoying European success, he did not settle at the Bernabeu and returned to PSG in 2000 before being loaned to Liverpool for the 2001-02 season. A £13m transfer to Manchester City followed in 2002 but three years later he was on the move once again, with Turkish club Fenerbahce his next destination. He returned to England to sign for Bolton for a club record £8m fee in August 2006 before Chelsea paid £15m for him in January 2008. There he formed an effective partnership with Ivory Coast international Didier Drogba and helped the Blues win the Premier League in 2009-10, and two FA Cups. 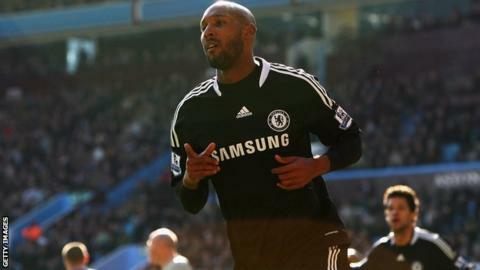 Anelka, who has won 69 caps for France, left Stamford Bridge to join Shanghai Shenhua in January 2012, returning to Europe to sign a short-term deal with Juventus earlier this year.